A causative role of the membrane-bound tyrosine kinase ErbB-2 in breast tumorigenesis has been well established. MMTV/neu transgenic mice which overexpress ErbB-2 consistently develop mammary carcinomas with a high incidence. 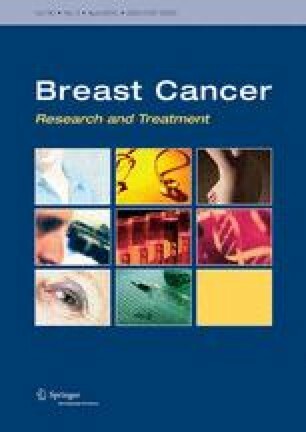 In human breast cancer, ErbB-2 is overexpressed in 25–30 of all cases and is representing a clinical marker of a poor prognosis. Besides to gene amplification, ErbB-2 overexpression has been attributed to transcription factors of the AP-2 family which were shown to control the ErbB-2 gene promoter in cell culture studies. Particularly AP-2α and γ are often coexpressed in ErbB-2-positive breast carcinomas. However, LTRγ transgenic mice which overexpress AP-2γ in their mammary epithelium display only a very weak upregulation of the erbB-2 gene and do not develop mammary carcinoma. These findings therefore raise the possibility of functional cooperativity between both genes in breast cancer. To experimentally address the impact of AP-2γon ErbB-2-induced breast carcinogenesis we crossed MMTV/neu transgenic mice with LTRγ transgenic mice and monitored tumor development in bitransgenic female progeny. AP-2γ overexpression negatively influenced tumor incidence, as reflected by a reduced tumor number and a prolonged tumor latency. Histological analysis revealed three major types of tumors corresponding to different stages of tumor progression. Interestingly, an increased proportion of advanced stage carcinomas was observed in bitransgenic mice. Moreover, the AP-2γ transgene differentially affected proliferation rates between the different progression stages: proliferation was enhanced at early stages but reduced in advanced stages in comparison to control tumors. Therefore, AP-2γ while reducing the incidence of mammary tumors is promoting tumor progression.